Price : Rs 299 for 200 ml . 100% Pure High Grade Castor oil Hexene free, Preservative Free, Cold Pressed. It comes in a clear plastic bottle with all the details mentioned in its body. It has a flip top lid. It is quite travel friendly. Though , once the bottle slipped my hands and fell to the ground , the flip top lid broke a little. I really love using castor oil and have been using a different one since the past 4 years of my life. Putting this one to test was therefore easy. This one , really did work good. I applied it with coconut oil to apply to my hair. When you apply to your hair, it’s thick and sticky in texture. It gave that same bouncy voluminous effect after shampoo. Constant use ( one at least in a week) will result in voluminous hair, less hair fall, and soft hair. It even works as a great under eye oil and for treating pimples/ acne. Yes. This is really affordable. Also , it’s mostly on discount. Basic Skincare Routine for all skin type. That’s all for this post! 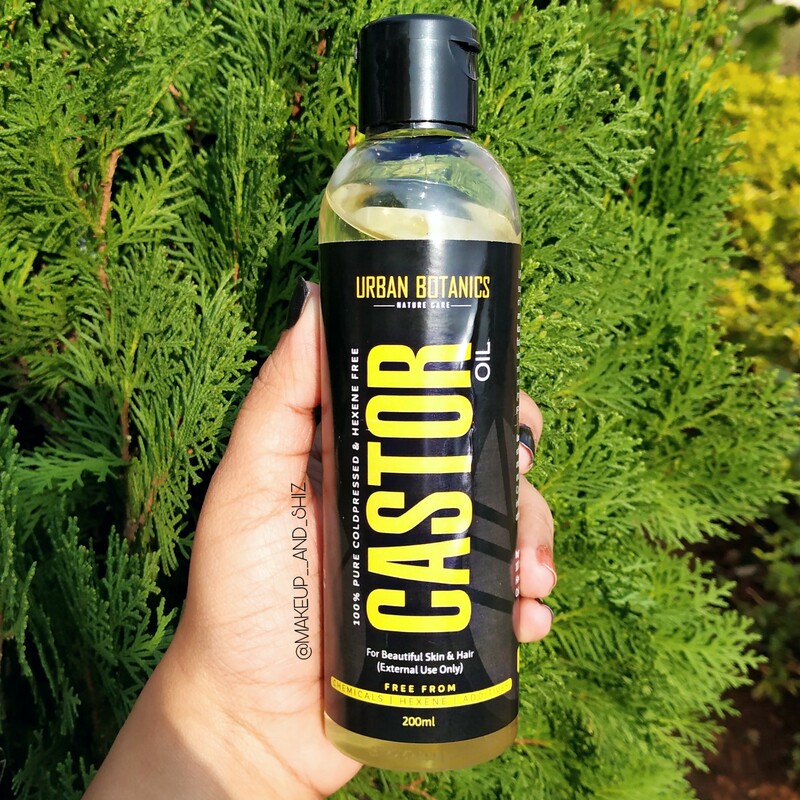 I will write a post on different ways to use Castor oil , soon. Comment below if you want to see any other post! Previous Nivea MicellAIR Skin Breathe Micellar Cleansing Water – Review, India. Next Nykaa Skin Secrets Sheet mask Pearl + Hyaluronic Acid, Almond+ Yogurt — Review.